The Ventilation - Thermador 42" Masterpiece Series Low Profile Island Hood by Thermador at Furniture and ApplianceMart in the Stevens Point, Rhinelander, Wausau, Green Bay, Wisconsin Rapids, Marshfield, East and West Madison, Wisconsin area. Product availability may vary. Contact us for the most current availability on this product. 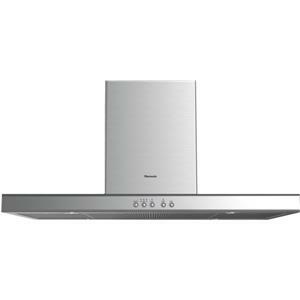 Thermador ventilation options include island range hoods, wall mounted range hoods, and chimney wall mounted range hoods. Choose between a variety of depths including 22", 24", and 27". Thermador hoods are available with blowers or without blowers, allowing you to customize to suit your desires. Inquire for more details. The Ventilation - Thermador collection is a great option if you are looking for Appliances in the Stevens Point, Rhinelander, Wausau, Green Bay, Wisconsin Rapids, Marshfield, East and West Madison, Wisconsin area. Browse other items in the Ventilation - Thermador collection from Furniture and ApplianceMart in the Stevens Point, Rhinelander, Wausau, Green Bay, Wisconsin Rapids, Marshfield, East and West Madison, Wisconsin area.